In another week the FOMC will have its final meeting of 2018 and its last with the current mix of policymakers. 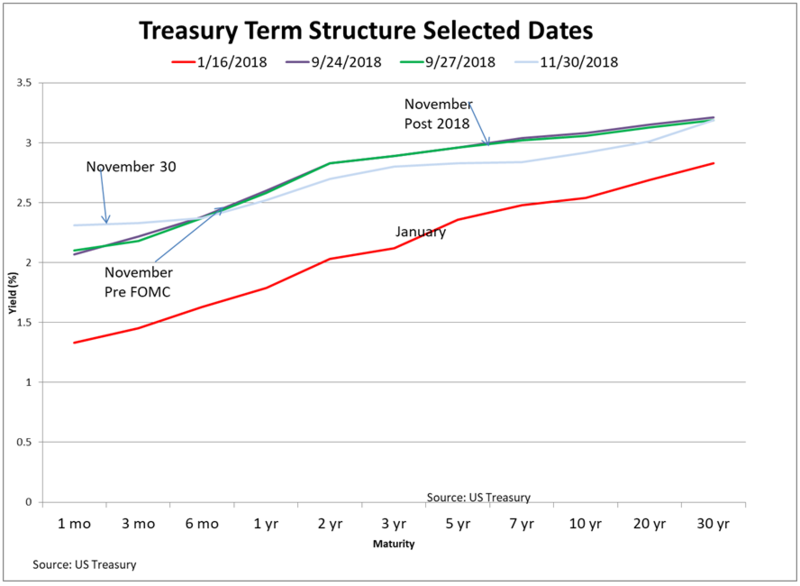 Already, the discussion has turned to what the Committee will do at that and subsequent meetings: Will it proceed with further 25bp increases in the target range for the federal funds rate, or will it pause? There are two important reasons why the FOMC will move at its next meeting. First, it has provided justification of where rates should be to be “neutral”- that is, neither too tight nor too loose with regards to slowing down or speeding up growth. Second, that justification blunts any perception that the FOMC may be bowing to political pressure from the White House when it comes to setting rates. By saying it is “almost there” and stating that further moves are data-dependent, the FOMC is setting the stage for a possible pause. And the rationale for such a pause will be contained in the Summary of Economic Projections if the Committee does indeed decide that it has achieved a neutral policy stance. Clearly, world growth is slowing and should the slowing continue that may be sufficient to justify a pause by the Committee.